Sometimes you just need another set of eyes. Sometimes it feels like you’re just too close to the trees. And, sometimes an outside perspective is just what you need to see things not yet noticed. This is where an Engineering Consultant is very handy. It’s a perfect situation to hire a significant depth of experience for just a short time to get over a hurdle. It’s one powerful way to Leverage Your Time and maximize results. Defining “Engineering Consulting” is kind of like defining “Gray”. There are differing ideas about what is and what is not “Consulting”, but really, the definition is not so important — it’s the end result. If consulting is someone from the outside evaluating and making recommendations, we do that. If consulting is assisting with a design or manufacturing process, we do that too. Our objective is to give you traction in reaching your goals — no matter what we call it. At Synthesis, we provide value in several activities that are frequently called “Engineering Consulting Services”. These range from phone consultations, to in-depth on-site studies with reports and recommendations. When another set of eyes are needed, when validation of concepts is desired, or when your design time is constrained, we are available to assist. We bring with us years of experience spanning a wide array of industries. – Here is one Case Study Example in Design Consulting. Forensics is a generic connotation of “something died”. If you’re in a spot needing to understand why something broke or breaks or why something doesn’t work — it’s a good time for engineering consulting. Usually it’s not the breaking itself, but the factors surrounding it. 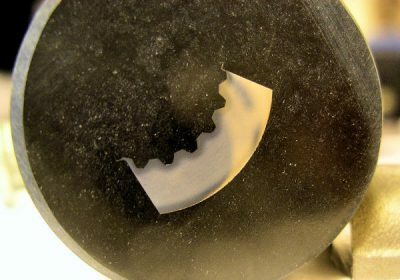 – Read this Case Study Example of Engineering Consulting to assist in solving a motorcycle engine failure associated with a serious accident. In many areas of industry, but especially in manufacturing, streamlined processes are often the difference in making money or not. Finding the bottlenecks is not usually the hard part, but figuring out how to optimize throughput sometimes is. Call us if you need another set of skilled eyes to help evaluate opportunities for greater capacity and greater profitability. Outside services for Product Design & Development are sometimes in the “Engineering Consulting” category. We do that, for sure, and a lot of it. – Please read about our Product Development services, and about the Process. In a similar vein, we also do Custom Machine design and build. Of course, these categories overlap. A discussion that starts on why something broke can end up in a design revision or optimization in manufacturing. Though some of the services above might be considered “Contract” or “Freelance”, we put them here just to be complete. What we call it matters less than project success. 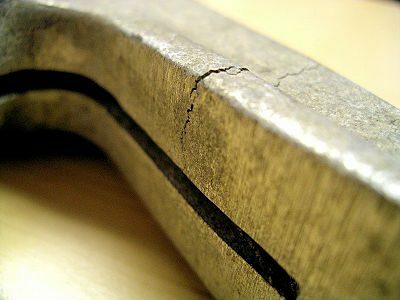 Metallurgical Failure Analysis, Then Evaluation. 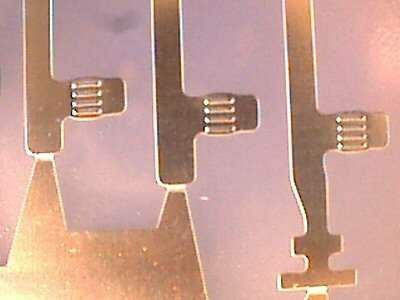 Under the microscope, Engineering Consulting on Manufacturing Processes. Leverage Your Resources and Preserve Time. This is an excellent question, so let’s look at the positives, and the negatives then make some evaluations for When it’s beneficial to hire an Engineering Consultant. The Why’s for consulting come with the evaluation. More importantly, the Why’s for your particular industry, company and situation come with understanding the benefits. With a consultant, you get seasoned expertise from years of engineering consulting and services. We provide a broad spectrum of experience from many different industries and from many areas of the globe. You get a temporary boost in your capability, and it’s easy to start — much easier than hiring new staff. It’s also easier than the hassles of letting staff go after. The cost of adding engineering consulting expertise is both scalable and temporary. We come and help while you need it, then we go away when the project is done. From Synthesis, you get a broad spectrum of engineering experience spanning many years and many industries. This benefits you directly by “cross-pollinating” good ideas and practices originating in other environments. A solution from another industry might just be the key to your success. The high cost of hiring a consultant. Yes, looking at an hourly rate it can seem high. Yet, it’s cheaper than hiring full-time staff because consultants don’t have the burden of taxes, facilities, benefits, etc., and the cost ends when the project finishes. Additionally, you don’t pay full time — only for the work they do. A consultant doesn’t know my industry. In some cases that is true, and there is no doubt industry knowledge is valuable. Yet, it can benefit you when the Engineering Consulting is not hampered by tradition or by seeing the same trees. This way, the consultant gives a fresh look through a lense of experience to focus on solutions. If the consultant does not recognize you as the expert in your field, and leverage your industry know-how, then find a different consultant. They need to work WITH you, guided BY you. I don’t want to share company secrets with someone from the outside. That’s a legitimate concern, and it’s something we are sensitive to. In answer, please consider that Synthesis would not be in business for 20+ years if we ever violated the trust of customers. We use NDA’s and other documents as a reminder about sensitive information, but even without such documents, we always care for the IP of others. Any reputable consultant will. As noted, there are advantages in Why to use Engineering Consulting. How about When? The perfect example of a consultant (though we rarely think of it this way) is a doctor. They are a skilled professional that we hire on a temporary basis to consult with about an issue, or to accomplish a specific task. You hire a doctor when you need outside direction specific to a situation. You don’t hire the doctor to put on a band-aid, but you definitely want one for surgery. A similar case fits for an Accountant or an Attorney. Sometimes you just need the expertise. Engineering Consulting is not much different. The Consultant has skills and knowledge you can tap into on a temporary basis to fill a need. Call Synthesis when you have an Engineering question, or need a skilled set of eyes to help figure something out. That’s what we do. For more information about Engineering Consulting Services and how it can benefit your business, please read this article about Levers to Boost Your Bottom Line. And/Or the Linkedin article The Time Lever. 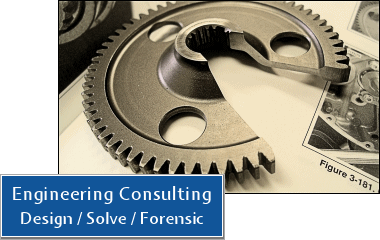 For more information about Engineering Consulting through Synthesis, please take a minute to Contact Us. We are available to discuss your specific needs. If it makes sense for us to assist, we’ll figure out how to assist in meeting your goals. Reach out. There is no cost to start the conversation. Oh, and we won’t pester you after if you decide not to use our services.